Organic fresh fruits! Our fridge is full of them right now since many are in season and they are so hydrating in this hot weather. 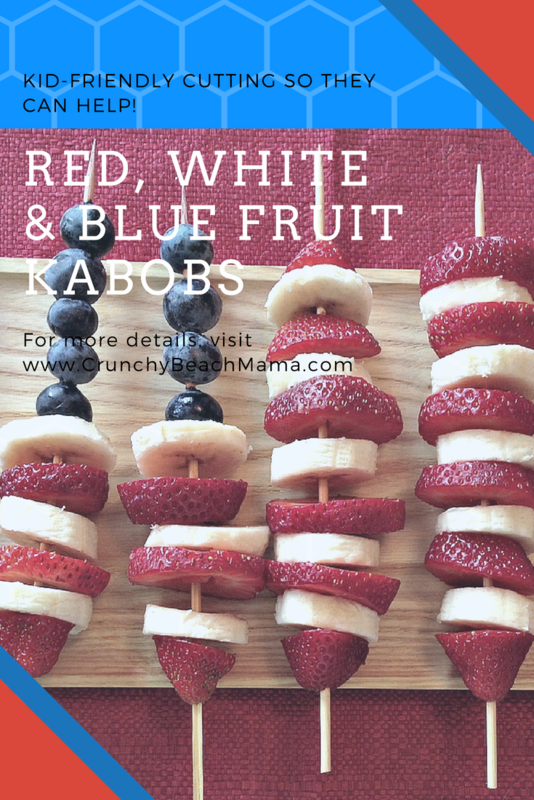 With Fourth of July upon us, we put together Red White Blue Fruit Kabobs which make a great kid friendly snack this time of year. In fact they really did all the work. Even the cutting using kid-friendly knives. All I had to do was supervise which was awesome and makes them more bold in the kitchen. Our Red White Blue Fruit Kabobs were such a hit with our family that we can’t help but but bring them to the Fourth of July picnic to show off. Made with organic bananas, strawberries and blueberries which are all easy to come by right now. 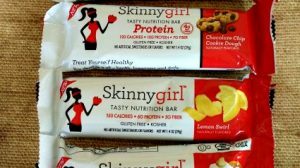 Pineapple and raspberries would be good substitutions too and mix it up a bit! We used 7 bamboo skewers. Ours above are 8 inches. Definitely can play with sizes! Slice your Bananas and Strawberries. My boys were able to do all the work with these kid-friendly nylon knives. Slide the fruits on to the skewers to make a pattern. We made ours into a flag, but I think it would be cute to alternate all 3 fruits for a fun look, especially if you had to make a lot for a big crowd. 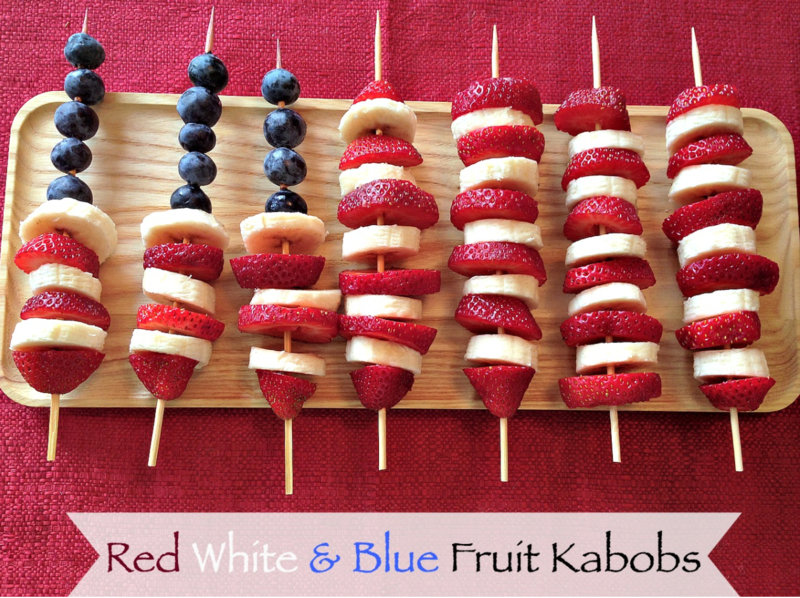 Red White Blue Fruit Kabobs to use on 4th of July, Memorial Day, Labor Day, or anytime! Foods to Keep you Hydrated – other surprising foods that will keep you refreshed on these hot days. Dairy Free Fruit Parfait recipe for using your leftover berries. Organic Fruit & Veggies – which ones we should we buy for sure? Does local matter? 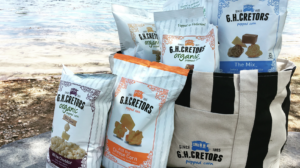 What are your big 4th of July plans this week?